Great news guys! Today for the first time ever both the NiGHTS into dreams… perfect album and the full Journey of Dreams OST has sneaked onto iTunes for UK/US/JP regions! 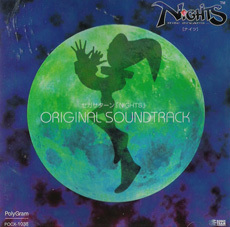 This is a massive deal because previously all official releases of NiGHTS albums were Japan only. We've had to put up with years of expensive imports, dodgy downloads and sticking our game CD's into disk drives. Now we can legitly buy and support the music and artists we love so much. Tracks like D'Force Master and deleted boss Selph's theme Know Thyself! – they all deserve your pennies. So please support the franchise and buy these albums. At only £7.99 they're a total steal and worth every cent. Also I've been told they will appear on Amazon too in the near future. So look forward to that! Thanks so much SEGA! ^_^ You've made a lot of fans very happy! Please please go buy them or even single tracks to show support for the wonderful soundtrack and the artists who created them. I just spent a lot of money on a LOT of music…. I regret nothing, lol! "Alright, so, now that things are winding down, I'm getting ready for the physical release. As of right now, it is planned that I will be ordering a bunch of physicals, consisting of a double disc version of the project (no bonus disc), including most (if not all) of the art as an insert book. I'm looking to gather about $1000 to completely pay for this batch. NONE of this money will go into anyone's pocket: I will raise money until we hit the desired amount. If I don't hit it, some way will be found to pay it off (probably out of pocket). If I do gather that much, great. Any additional money I would possibly get OVER the price of the physical distribution will be put towards the cost of shipping copies out. If I gain enough to cover all shipping and STILL have money left over, the rest will be donated directly to OC ReMix. If you donate $25 or more, you will get a copy of the physical release! If you are interested in donating, please contact me." It is normal for OCR album projects such as this one to open for donations leading up to the release. If you have any questions and/or are interested in making a donation yourself then please contact Level 99 at our forums via the 'Contact Information' section on the bottom left hand side of his profile page. Last year, Level 99 and myself brought you the Winter Dreamers EP, a small selection of NiGHTSy related songs to play during your Holiday season. It was nicely received by the community and it got such a good level of feedback that Levs did mention that come next year we could probably do a follow up EP to Winter Dreamers. Well it is now 'next year' and i have good and bad news for you, my funky friends. The bad news is we do not have the sequel to the Winter Dreamers EP for you this year. The good news is Level 99 recognized his promise to you last year and most certainly did not want to leave you all empty handed, so he went back and remastered the songs from the EP. Now your favourite tunes from the EP have had their quality level ramped up so it sounds even more crystal clear than it did the first time around. All the more fresh for the winter season, i'd say. Furthermore, Level 99 has also officially included instrumental versions of Hey Dreamer and Hey Dreamer (Can't Dance Sleeping Mix) in the download pack so now you can karaoke your little festive hearts out! For the download files as well as previews of the remastered Winter Dreamers EP, click this link here. Chances are that this will be the last update before 2011 so from Level 99 and myself, as well as all the Staff here at the site, we wish you a very Happy Holidays and hope you enjoy the New Year to come. If you're like me and you love a bit fresh music for your playlist (because there's only so many times we can listen to the same NiGHTS music over and over again, right?) then you're gonna luuuurve this! OverClocked Remix is a website i am hoping a lot of NiGHTS fans will be paying attention to over the next year as the highly anticipated remix album 'NiGHTS: Lucid Dreaming' will be releasing for NiGHTS 15th Anniversary on July 5th 2011. I've been involved in the project, hearing what is being created and i can only speak of good things to come. What i did not expect to see (or in this case, 'hear') was remixer and old friend of mine DCT dropping a quick remix for everyone to enjoy for this winter season. His remix of 'Take The Snow Train', neatly titled 'The Polar Express', blends a soft and cozy chill factor to an already established song. You know what the original sounds like, now how about we take you on to that legendary train with a nice glass of whatever-you're-having and watch as the snow comes down outside on the opposite side of that windowpane. It's the perfect music for this festive time of year and i couldn't think of a better tune to bring us in to December. This particular remix can be found here and is available for your free downloading pleasure. A big shout out to DCT for coming with a NiGHTS remix, i personally appreciate it as i'm sure other NiGHTS fans will too. NiGHTS remixes are few and far between and i like to think that makes them all the more special. Happy Holidays everyone, here's to a pleasant December to you all. YOU HAVE MADE THE FOLLOWING ERRORS!!!! 1) You have entered an invalid HEX Color Code ""#674080"" please read the directions! 2) This is not a valid blog player ""3"". Please Enter the correct blog_plyrs id (1,2,3,or 4)! 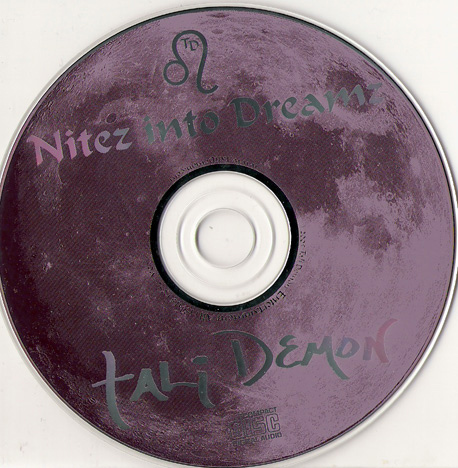 ALL TRACKS © TO Tali Demon Entertainment 2005. Track 1 used with permission of Sega Ltd.